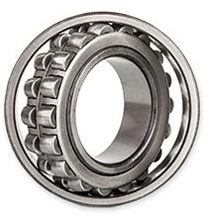 A rolling bearing is composed of: two rings – known as the inner and outer race – separated by a set of rolling elements, which are most often kept at a relative distance by a cage. At its most basic level a rolling bearing decreases rotational friction and supports radial and axial loads. Each element is manufactured to a certain tolerance, and the sum of the geometrical and form tolerances determines, loosely speaking, the level of performance of the bearing – rating the load it can carry axially and/or radially, the limiting speed, noise, etc. For a long time, only bearings with wide tolerances could be mass produced, nowadays, however, technology has advanced dramatically and parts can be manufactured with very tight tolerances, to produce extremely high performing bearings routinely. So how do I know if a bearing has a wide tolerance or a tight tolerance? The Annular Bearing Engineering Committee (ABEC) created a rating system that has become the industry standard for ball and roller bearing tolerances. ABEC includes five tolerances classes: 1, 3, 5, 7, and 9 with 1 being the widest and 9 the tightest. Thus, bearings with a higher ABEC rating have tighter tolerances, and that means better precision, higher efficiency, and the potential to accommodate applications requiring high speeds. It is important to note that a bearing in a higher ABEC class does not imply that the bearing can carry a higher load, rather it can carry the same load as an analogous bearing with a lower rating but at higher speed, thanks to its more controlled runout and smaller endplay. ISO has an equivalent standard (ISO 492) for bearing tolerances that corresponds to the ABEC ratings as follows: normal class 6x (tightest), 6, 5, 4, and 2. The ABEC tolerance classifications specify both tolerances of size and form for the individual inner and outer rings. The critical features of the rings include the bore (or inner diameter of the inner ring), the outer diameter of the outer ring, the ring widths, and the raceways of each ring. Tolerances of form include roundness, taper, runout, and parallelism. And how do I know if I need an ABEC 7 bearing or an ABEC 3 for my application? In general a bearing is a very precise mechanism, and the design specifications are the main driver for choosing one. In fact, selecting a bearing with a tolerance too loose for the application can impact the maximum amount of torque that it can withstand or cause an imbalance of the load at high speed, and ultimately impact its life span. Conversely, a bearing with a tolerance that is too high for the application will probably perform better, but will also cost significantly more. The vast majority (more than 98%) of ball bearings sold every year belong to the ABEC 1-3 classes – with tolerances that are down to the 4th decimal place! – and can satisfy the vast majority of applications. Bearings in higher classes, called high/super/super high/ultra-precision (falling into ABEC 5,7,9 classes), have much tighter tolerances, that require more precise machining and longer production times. These bearings are available in more limited supply and have prices 4-5 times higher than ABEC 1-3 bearings. Specifically, thanks to its smaller runout and axial play, an ABEC 7 bearing will perform better and last longer in high speed applications, than an ABEC 3 rated bearing. So, if you need a super precise, long-lasting bearing, ABEC 7 is probably the bearing for you. Applications for highly rated ABEC bearings include Machine Tools, Aerospace, Medical devices and more. Conversely, if your application doesn’t require extremely high tolerances, an ABEC 1-3 bearing is probably the better choice. For example, ABEC 1-3 rated bearings are used in automotive, electric motors, gear boxes, and most industrial applications. In ultimate analysis, when choosing a bearing based on its ABEC rating, always keep in mind the scope, carefully consider your design specifications (how fast is this going to go?! ), while keeping in mind the desired lifespan. Weigh these considerations against the cost/performance trade-offs of the standard and select the bearing that is best suited for your application. At Emerson Bearing, we know that choosing the right bearing is essential to your success. We have years of experience providing high quality bearings to many different Industries, and our technical team is here to help you choose the right bearings for your application. In addition, our Catalog and Technical Toolbox webpages include information that can help accelerate your decision-making process. If you have any questions, feel free to contact us today; we’re happy to help you select the most appropriate bearing for your needs.